We are a leading Manufacturer of staple pin wire, cloth pin wire, hair pin wire, staple pin wires and book binding wire from Nagpur, India. 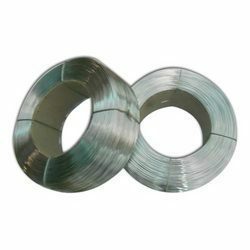 We are one of the leading manufacturer of Annealed wires that are best suited for the manufacturing of Staple Pin Wires. The quality of raw material used for the manufacturing of the stitching wires through various testing so that the the finished annealed wire to be used for the manufacturing of the staple pin is of the best of the satisfaction of the consumer. * Size Ranges from 1.00 mm to 3.00 mm in diameter. * Best material for the purpose of the Staple Pin wires. We deals in wide range of range of wires that can be used to make clothes pin. 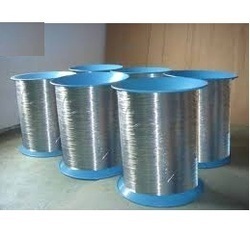 this round wire is made of low carbon wire rod and is galvanized under strictly controlled conditions. We produce wire if high carbon steel for manufacturing hair pins. 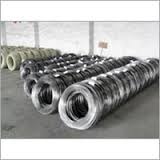 We make sure that the wire supplied to our customers is as per their requirement in order to give them minimum wastage and maximum output. We offer a wide range of Staple Pin Wires, which are available in different dimensions ranging from 3mm to 22mm. Made using quality raw material, our range of these staples are extremely durable. Moreover, these staples are offered under different model names and find application in many industries. Looking for “All pin Wires”?